She sat in the dirty utility room, rocking him back and forth. He was tiny, barely 10 inches long when the doctors delivered him. His parents didn't want to hold him, she was told. So for 45 minutes -- the only 45 minutes he would have on earth -- Jill cradled him, watching his chest rise and fall. Surrounded by the hospital's stained sheets and trash, his body fell quiet, another victim of live-birth abortion. The last, she decided, she would ever witness. He would be almost 20 now. And there probably isn't a day that Jill Stanek doesn't think about him and the thousands of helpless babies left to die just like him. No one talked much about "induced labor abortions" back then. But nurses like Jill knew -- they were most hospitals' dirty little secret. Finding living, breathing babies alone in a room of medical waste was almost routine. So much so that one of Jill's coworkers accidentally threw a live aborted baby in the garbage, not even realizing it was there in a heap of messy linens. A tiny infant, wrapped in a towel -- every bit as disposable as our laws have made each person. These are the true stories of a country that's hardened its heart to the value of life. Two decades after Jill carried that tiny body to the morgue, we are on the verge of making his end the norm. In the aftermath of New York, we have become a nation of politicians who would resuscitate babies "if that's what the mother and the family desired." And that's not an America anyone should tolerate. Unfortunately, this "they're-only-worth-saving-when-we-decide-they-are" mentality isn't new for Democrats. Let's not forget -- Americans sent a man to the White House who voted not once, but three times, against a bill that would've spared little survivors like Jill's. Then, there are other liberals who argue that stories like his don't even exist. "This bill is a solution in search of a problem," said Representative Judy Chu (D-Calif.). "It's unnecessary and redundant," she argued last year when Republicans introduced the Born-Alive Abortion Survivors Protection Act. Turns out, there's nothing redundant about it. As Alexandra Desanctis points out in NRO, leaving babies alone to die is legal in almost half of the country. "As of 2016, only 26 states have laws creating a specific affirmative duty for physicians to provide medical care to infants born in botched abortions, and only six states even required that abortion providers report instances of infants born alive under such circumstances." Other extremists, like Representative Jan Schakowski (D-Ill.), claim to agree with the sentiment behind the Born-Alive Abortion Survivors Protection Act, only to turn around and vote against it. "Of course, if a baby is born alive then everything must be done to protect that life," she argued. "No one disagrees with that." Last year, "no one" turned out to be 183 House Democrats. All but five refused to stop what's happening in abortion clinics and hospital utility rooms around the country. 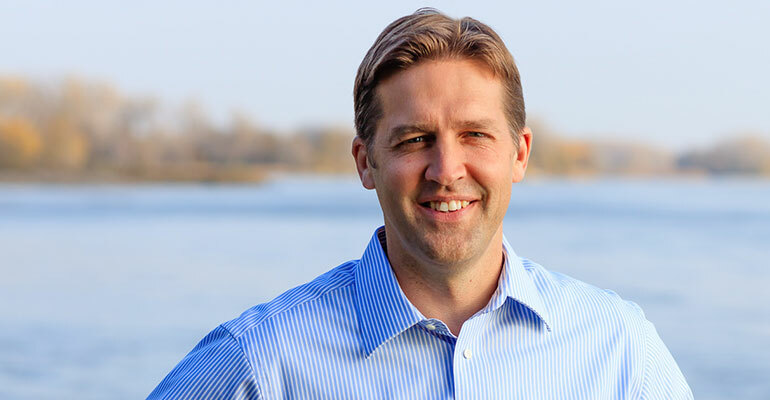 "We're talking about killing a baby that's been born," an indignant Senator Ben Sasse (R-Nebr.) told his colleagues last week. "We're not talking about some euphemism -- we're not talking about a clump of cells. We're talking about a little baby girl who's been born and is on a table in a hospital or a medical facility and then a decision or a debate would be had about whether or not you could kill that little baby. We're talking about the most vulnerable among us and we have a public official in America out there again and again defending a practice. This is infanticide that we're talking about. This should be so far beyond any political consideration. We're talking about a little baby. A baby with dignity. An image bearer. "Everyone in the Senate ought to be able to say that killing a little baby is wrong," Sasse insisted. And tonight, he plans on giving them that opportunity. He's decided to fast-track his Born-Alive Abortion Survivors Protection Act after what's happened in New York and Virginia and try to pass the bill by unanimous consent. 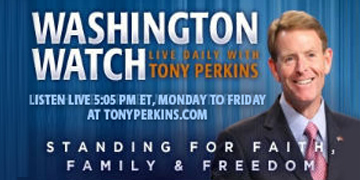 "...I'm going to ask all 100 senators to come to the floor and be against infanticide... This doesn't take any political courage. And... if there's a member of this body that can't say that -- there may be lots of work you can do in the world, but you shouldn't be here." In the end, the only way that Congress will get the message is if you send one. If you haven't called or emailed your senators about the Born-Alive Abortion Survivors Protection Act, don't wait. Let them know: there aren't just lives on the line -- but jobs too.